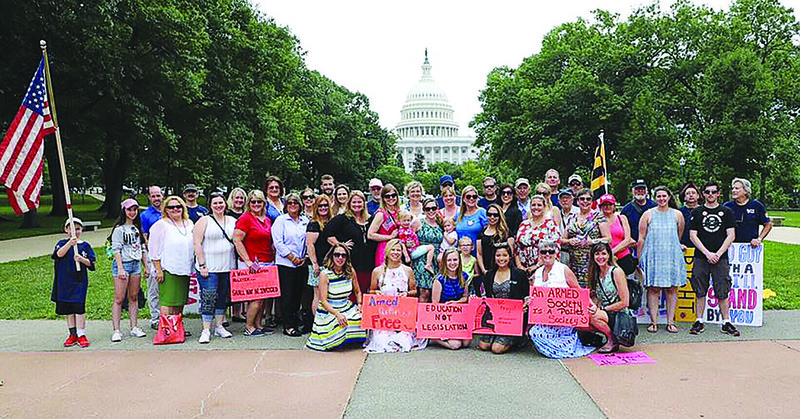 What would happen if 50 female gunowners, one from each state, all went to Washington, DC, at the same time to meet with their Representatives and Senators? What kind of impact would that have on legislation concerning Second Amendment issues? If there is one over-riding misconception of women, it is that they all have the same values, same concerns, and same world view. Women comprise more than 50% of the population. How could anyone ever think that they are all the same? Much the same can be said about gunowners. Owning and using firearms, caring about the Constitution and the ability of our country to stay free is not the purview of one party or one ideology. Our strength comes from our ability to work with those who care about the same things, and respect and set aside those things about which we differ. The DC Project is a non-partisan group of women who care about one commonality: the preservation of our ability to keep and bear arms. DC Project Founder Dianna Muller. Dianna retired from the Tulsa police force after 22 years of service. She is a Certified Firearms Instructor, the Captain of Team Benelli 3-Gun, and has won numerous competitions including the 2016 NRA World Shooting Championship. 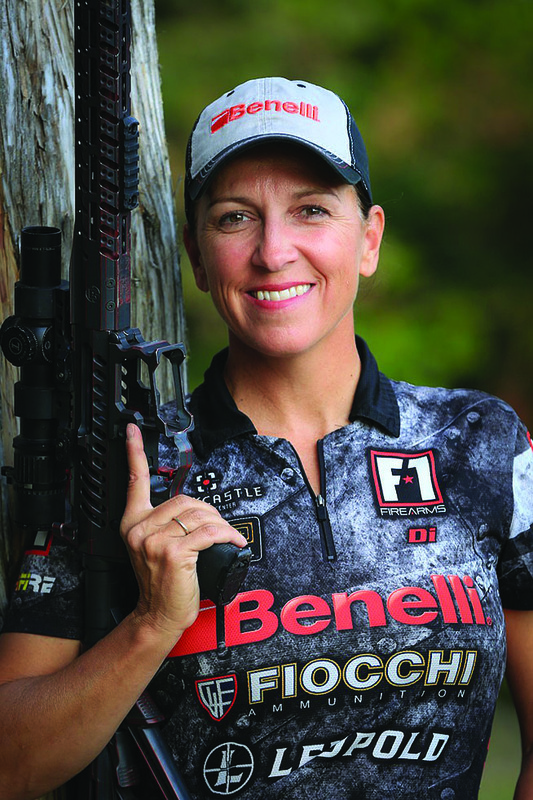 She is a co-host on “Shooting Gallery” on the Outdoor Channel. She is a professional shooter. Her first thought was to invite other professional shooters. She discussed the idea with A Girl and A Gun founders, receiving enthusiastic support. Her original idea of participants was expanded to include a wide variety of female gunowners. “In addition to pro-shooters, we have military/LEO, survivors that were denied firearms, survivors that had a firearm, naturalized immigrant Gabby Franco, who has seen Venezuela lose their gun rights,” said Muller. The cause attracts both Republicans and Democrats, and other political persuasions. The delegation ranges in age from 13 to 73, a diverse group that has one thing in common—they want to preserve and protect our natural rights to the means to self-fulfillment and self-defense. The concept is to influence Representatives and Senators not by demanding compliance, but rather through developing a relationship. Simply meeting them, getting to know them. Letting them see an actual gunowning constituent. Possibly, changing the image some might have of such a person. She returned to Washington “…in Feb of 2016 with a small contingent of ladies that turned into my team leaders.” This was followed in July by the first big trip with women from 35 states. (See “Suddenly…Women!” Women&Guns Magazine Sep/Oct 2016.) The gathering culminated with a rally on the Capitol lawn. In 2017 they added a range date. She is working not only to increase the number of women who enjoy the shooting sports but also to find ways to communicate with those who are working against us. We all share the same emotions when terrible things happen. We all want everyone to be safe. While we seem to be in totally opposite positions, if we can acknowledge that we both want the same thing, we have a point where we can start. The DC Project is a nonpartisan initiative bringing 50 women, at least one from each state, to Washington, DC, to meet legislators, and reveal the faces and stories of 2A supporters. 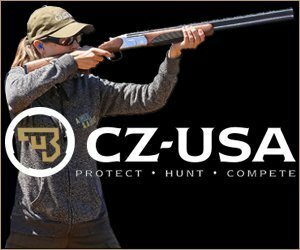 Participants meet with lawmakers to address the rising demographic of female gun ownership; the value of the 2nd Amendment in today’s society; and the importance of the preservation of America’s gun culture, from conservation and commerce to competitive sports, hunting, and self-defense.